Merry Xmas, XXXX! Have a smashing time! So... soon it'll be the end of 2016, about which enough has been said. Who knows what 2017 holds? I don't. (Quick, let's find a fortune-teller!) But whatever the future holds... let's start off the New Year by having FUN!!! 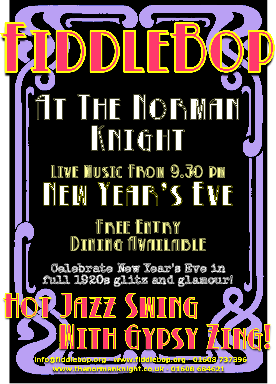 And on 31 December 2016, FiddleBop will be celebrating New Year's Eve in full 1920s glitz and glamour! 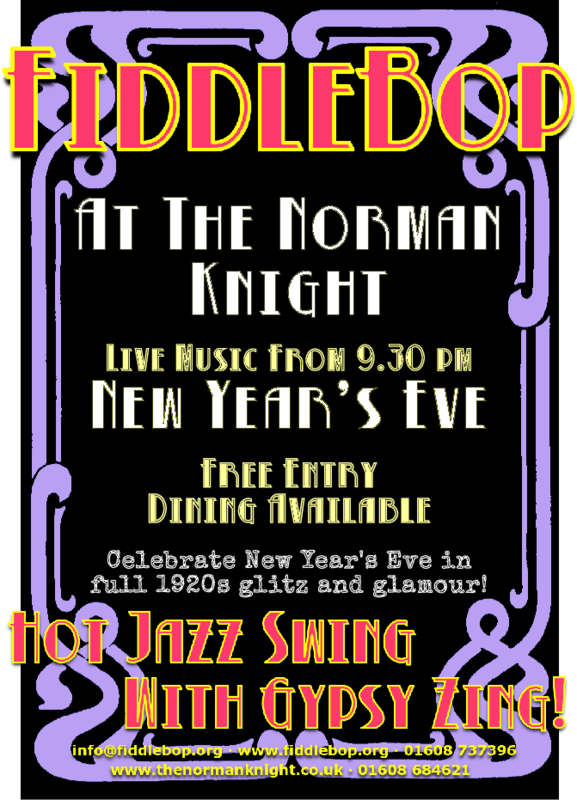 Yup, we'll be gypsy-jazz-swinging in the New Year from 9.30 pm amongst dancing gangsters and molls in our local speakeasy. Our excellent local hostelry. the Norman Knight (in Whichford, near Shipston-on-Stour, Warwicks CV36 5PE. 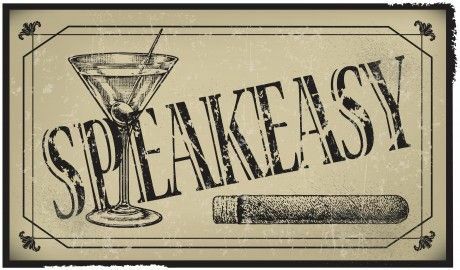 01608 684621), isn't illicit -- as far as I know -- but it will as-if-by-magic become a speakeasy for the last evening of 2016. 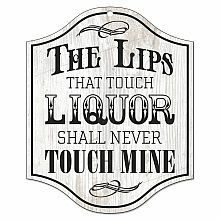 Look out for the bathtub gin, folks! Admission is free. A special New Year's Eve dinner menu will be available (advance booking essential). 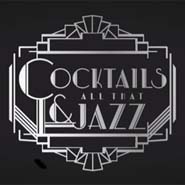 Dressing up is optional, though the 1920s theme will certainly inspire some Great Gatsby socialites and Bugsy Malone style flappers... See you there? Yaaaaay!!! 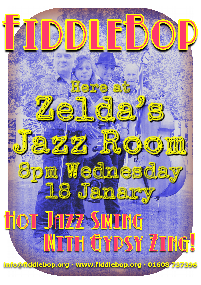 Run by redoubtable jazz guitarist/banjo player and bandleader Dave Moorwood, Zelda's has been a jazz venue for many years (I'm told) and is a favourite gig for many of the UK's best jazz bands. We are unsure why we've been booked here . Tickets are £8 on the door. 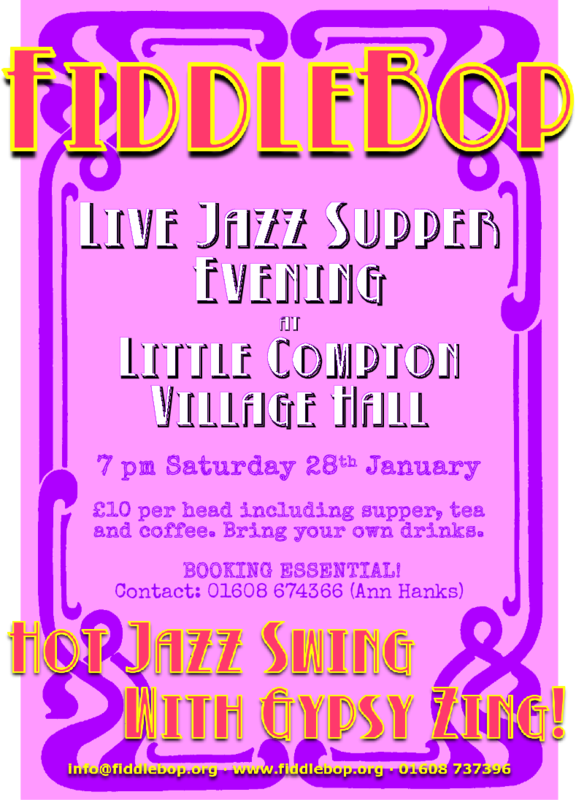 And later in January, how about a "Live Jazz Supper Evening"? 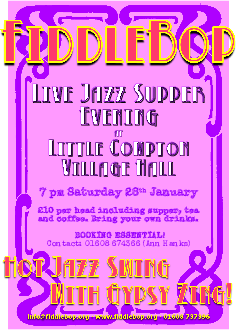 Combining hot gipsy jazz and a hot supper... that can't be bad! 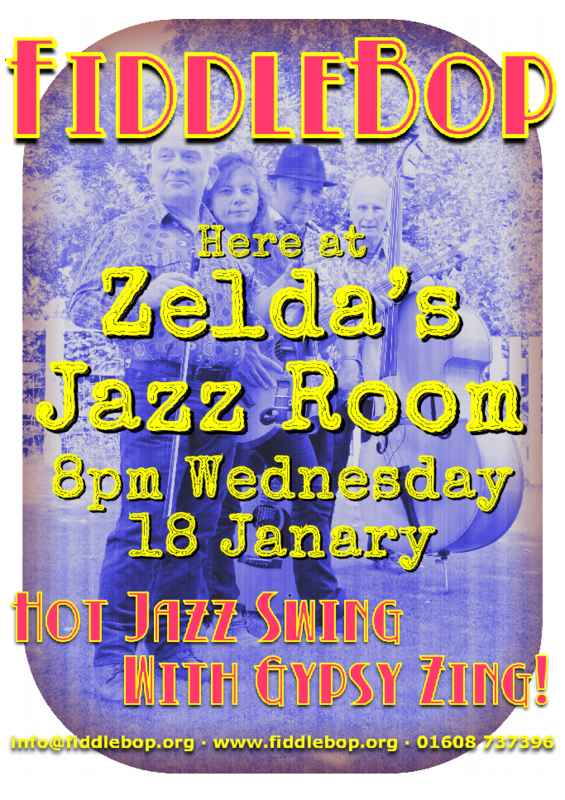 The final FiddleBop extravaganza which I'll mention in this Xmas newsletter (but o-no-it-isn't our final gig for 2017, not by any means: see our ever-expanding and always-current gigs list) is an Oxford Jazz Kitchen gig. 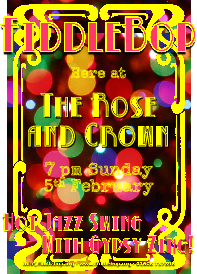 And this is at one of FiddleBop's favourite venues: The Rose and Crown in North Parade Avenue, Oxford OX2 6LX. (01865 510551). Why do we like playing here? Well, the Rose and Crown has one of the friendliest and most helpful landlords you could wish to meet, has fine beer and great food, a character-filled beer garden/courtyard (which is where we play... it has a roof and heaters, in case you were wondering. This being February), and lively and enthusiastic audiences. Cor! 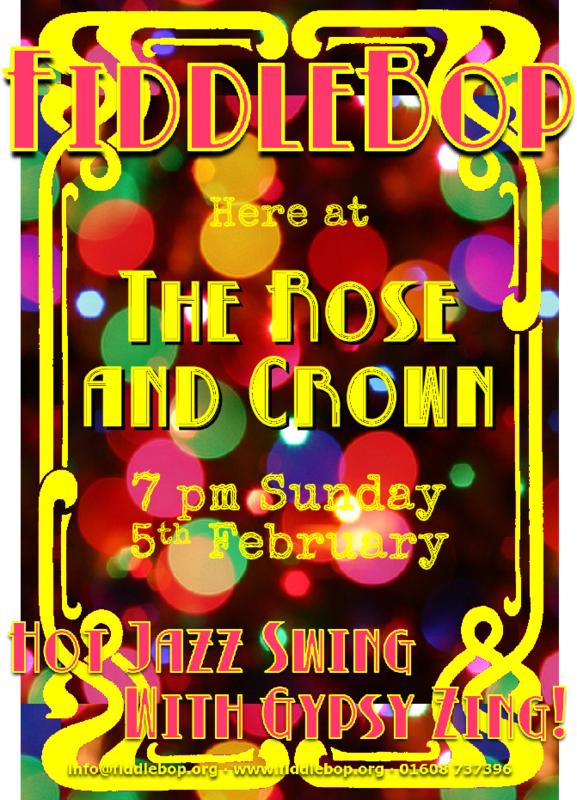 We'll be raising the roof (not literally) from 7 pm Sunday 5 February 2017. How about coming along? Well, looking back on 2016: whatever else has happened, we've had some great gigs. Like the one in Oxford's Balliol College for the 25th anniversary of the Environmental Change Institute, when we all ate so much that we could barely play; several fun and happy gigs at the extremely friendly Stratford Alehouse (thanks, Bill! ); gipsy jazz on a summer's evening by the pool at Chippy Lido (did I really see someone dancing the Charleston whilst swimming? ); and jazz alongside Ol' Father Thames, bemusing passing pleasure boats, at The Nag's Head On The Thames in Abingdon. 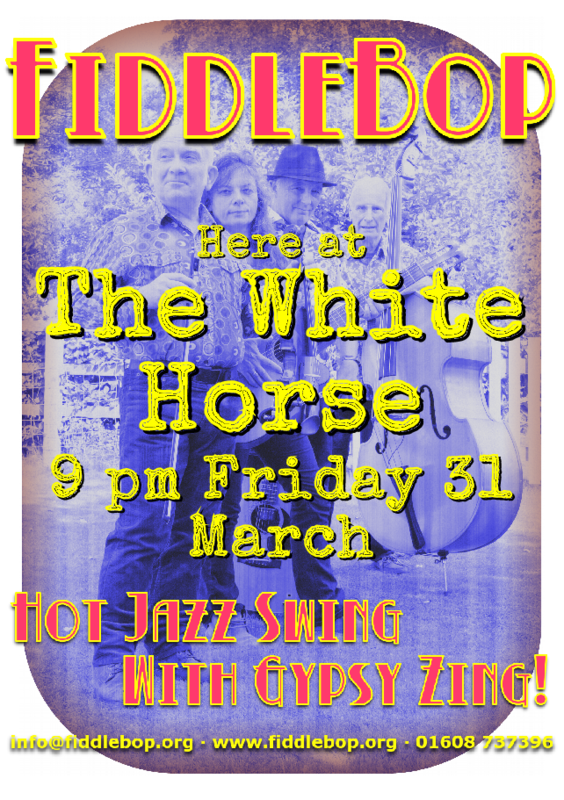 O and there's an article about FiddleBop -- complete with some videos recorded live at The Walnut Tree Inn when we played there in October -- in Jazz and Jazz. Thanks, Peter! Right! That's all for now. 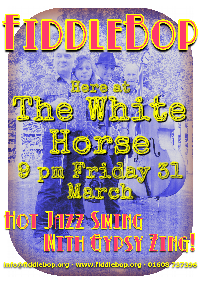 Another FiddleBop newsletter will (all being well) follow in a couple of months. Again, Merry Xmas and all the best for 2017, XXXX! See you soon, hopefully! "Worcestershire's Aspara-tastic Music & Food Festival!"